I’m just going to start out by saying I am a fan of bandwagons. Whether they are a real bandwagon or I make them up and get other people to join me is besides the point. When I get excited about something new, I’m ALL IN. I’m not saying my bandwagons are always current either, it could have been a bandwagon in the 70’s and if I just discovered it, it may as well be from the future (Bill and Ted style) I’m so stoked. Recent bandwagons I’ve hopped onto partially or completely: the plant strong/vegan bandwagon, the essential oils bandwagon (that stuff smells amazing! ), the all natural bandwagon, the homemade house cleaner bandwagon, the smoothie bandwagon, the gardening bandwagon, the buying stuff that benefits other people bandwagon (Toms, Noonday, Three Strands, Orgins Coffee). I could go on. Bandwagons are stinkin’ awesome because everyone on them is like, “YEAH! OUR BANDWAGON IS THE BEST!” Apparently I like it when other people around me are enthusiastic about the same thing. I totally get that bandwagons fade, because you can’t be on very many at once. You have to get off one to jump onto another. It’s possible that I jump from two or three bandwagons to two or three more, every couple of years, with little easy ones in between. I’m thinking about jumping onto fitness bandwagon, but we shall see, it’s still just in thought form and that one has been around FOR-ever! On to the fun stuff! I gave myself a time limit on writing today (because Davin and I have jumped on the yard work bandwagon). I am on the smoothie bandwagon. I’ve been making smoothies for about two years now, but for Valentine’s day my husband gave me a super fancy blender. Things just got way better in my smoo-me (as the kids say it) world, they actually are drinkable through a regular straw. 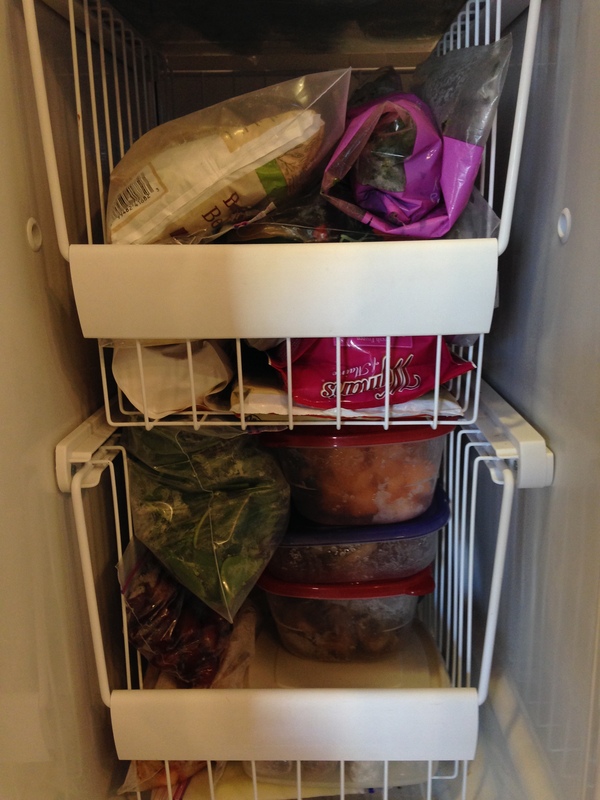 Prior to this I was using a Cuisinart food processor… sad face. 4) throw in some healthy greens to the beginning of my day to get me energized in a way that Lucky Charms won’t. A smoothie is not a side drink to a meal in my mind either. It IS the meal. Smoothies also don’t generally tide you over till lunch. I typically need an early lunch at like 11:30 or a snack till late lunch. Now that you are real clear if we are on the same smoothie page, let’s continue. My point of this post and any smoothie posts that follow is to review only smoothies I would make myself on a regular basis, which is why you will probably only see a few, because I repeat them. This smoothie is mild and goes down easy. It’s a good starter in the world of healthy smoothies. The cantaloupe gives a surprisingly refreshing aftertaste to each sip. I prepped my cantaloupe the day prior and froze it because it was starting to rot/mold on my counter and I love freezing as many ingredients as possible before I make a smoothie. My bananas were already chopped and frozen as well. I didn’t have any wheatgrass, and I tried that once at a Jamba Juice and said never again, so that was left out. 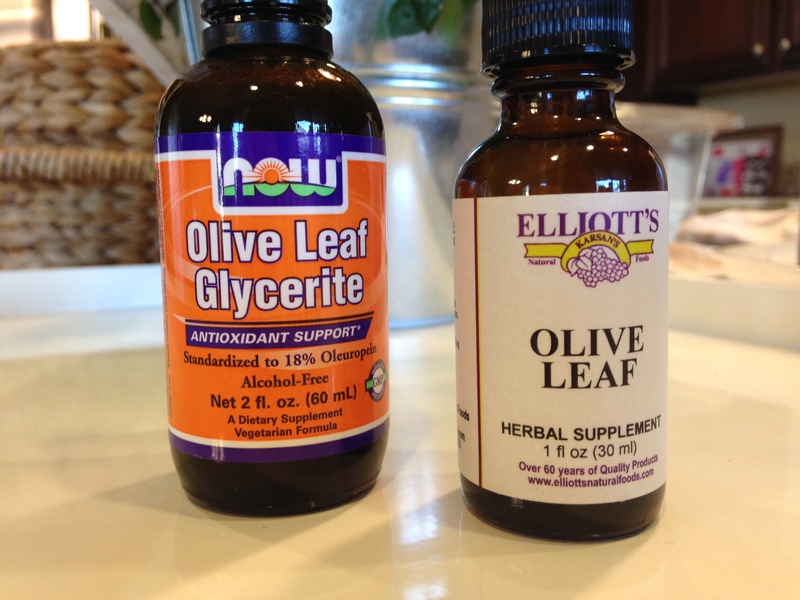 I did however add olive leaf extract because it’s another bandwagon I’m testing out. Reviews: so far I favor the now brand (alcohol-free and Amazon prime) is better than the Elliott’s which has 45-55% grain alcohol. It also smells like nature and looks thicker. I doubled the original recipe and added extra almond milk (the Trader Joe’s Original) to thin it out a bit. One of TWO almond milks I will actually drink or use. 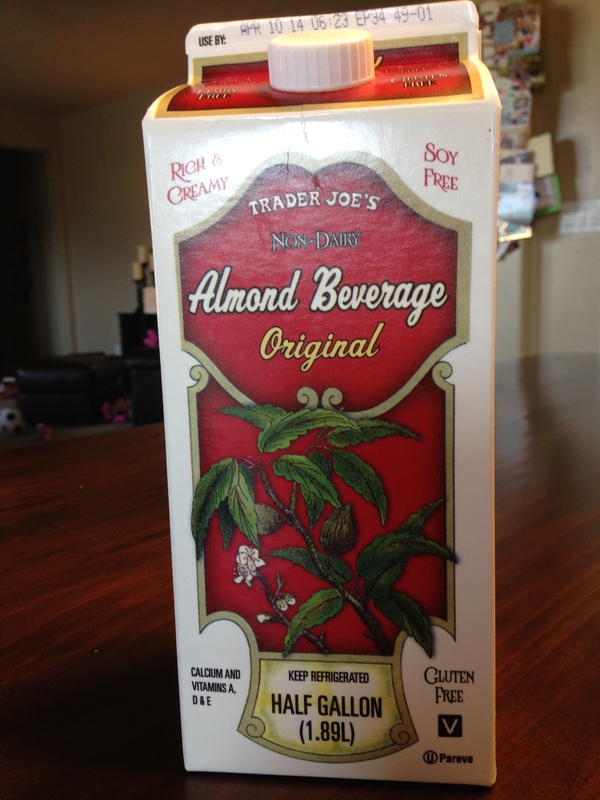 TJ’s Original tastes the least like almonds and most like cows milk. It took two go-arounds on the smoothie setting with some extra milk sloshed in on the top to thin it even more. This fed both Davin and I, and made little cups for the kids. I like this one because one serving is 3 cups of spinach! THREE! Foloic acid all up in He-Ah. And, bananas and cantaloupe are good for us and not tooooo terribly high in sugar. It also was BRIGHT green, which made me even more happy to drink it. So if you’re thinking about jumping on this bandwagon, this one is an easy start. I’m going to add one of my favorites in a day or two, so keep an eye out for that if you like chocolate and pretend milkshakes.